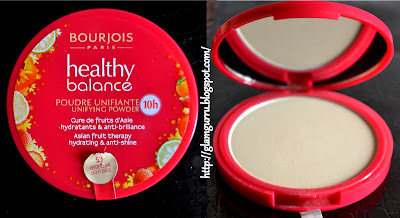 Glam Gurru: Review: Bourjois "Healthy Balance Unifying Powder"
Review: Bourjois "Healthy Balance Unifying Powder"
Today I am sharing really good product by Bourjois with you all. My skin tone is light-medium and texture is normal to dry depending on weather. I use this product over foundation makes my skin feel so smooth and not at all cakey or ashy. The formula of this powder is light weight, smooth and silky. It doesn't contain any scent even if it does I don't smell it. It doesn't make my skin break out its acne free. When it comes to the packaging it is thin and handy but the draw back is it does't come up with a compact applicator neither you can put any of yours inside cause the packaging is extremely thin, I can only wish it came with an sponge applicator. 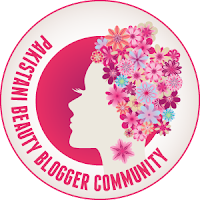 All over its a good product I will suggest it to girls who hates to go out with a cakey face, I purchased it from Scentsation for PKR 1200. Disclaimer "I do not do paid reviews, all opinions are of my own and honest"